Since I started collecting art pieces, I have acquired several portraits of fairly well known people. Granted the pieces tend to be fairly old but it is amazing what one can do scratching marks on a copper plate. From a copper engraving to a mezzotint by Valentine Green. We see #Georgina,DuchessofDevonshre posing on the patio most likely at Chatsworth House. The Duchess of Devonshire was of renowned beauty and into her social circle she gathered a great many literary and political figures. 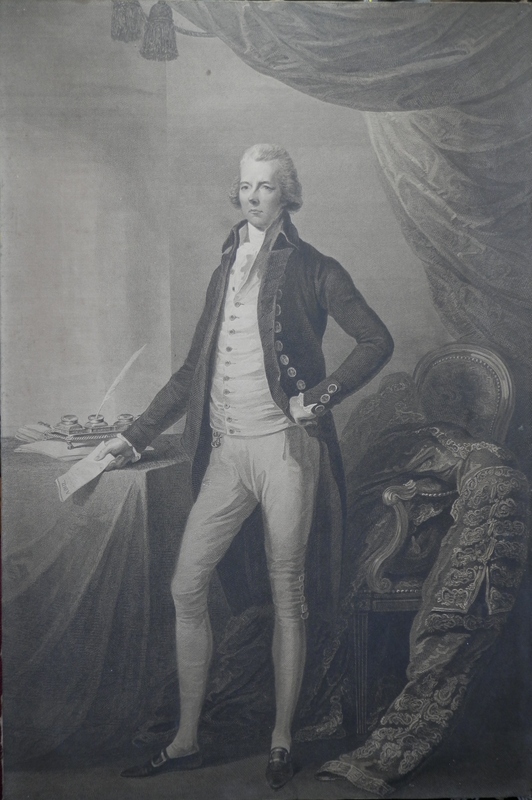 And since I wish for my readers to focus on the art in todays chapter and not the information which I post about them, I will finish with another mezzotint but this time by William Dickinson. Born into a life of privilege, #JosephBanks did not settle down to a life of elegant excess, having ‘married well’. His passion was for knowledge. His first research endeavour was to Newfoundland and Labrador from where he returned with many collected specimens, including some 340 plants. 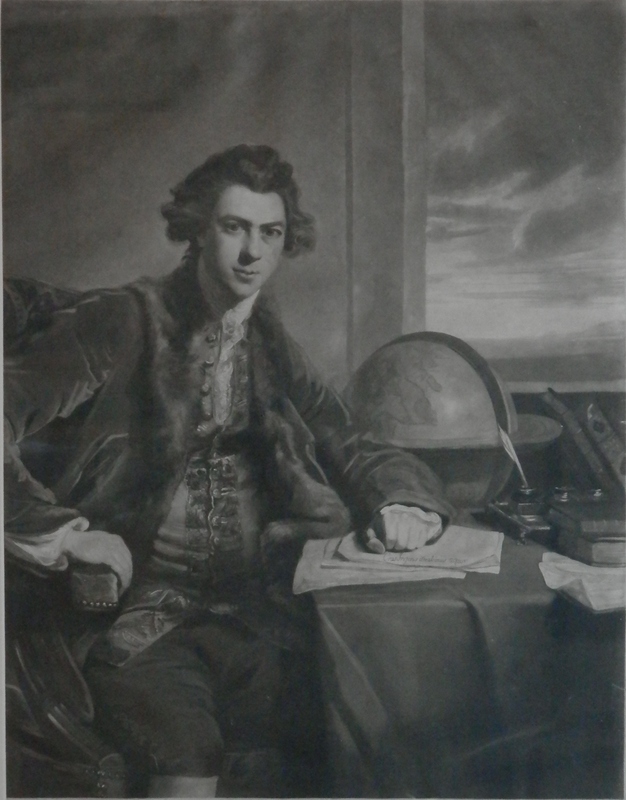 Joseph Banks’ next expedition was one of the great missions of discovery in history, as he joined then Lieutenant James Cook on his first journey to the South Pacific. The primary mission was to record the transit of Venus across the sun. It was the secondary mission of the expedition that held Banks’s interest; to record all manner of plant and animal life encountered. Three famous personages wonderfully portrayed by artists of sublime skill. 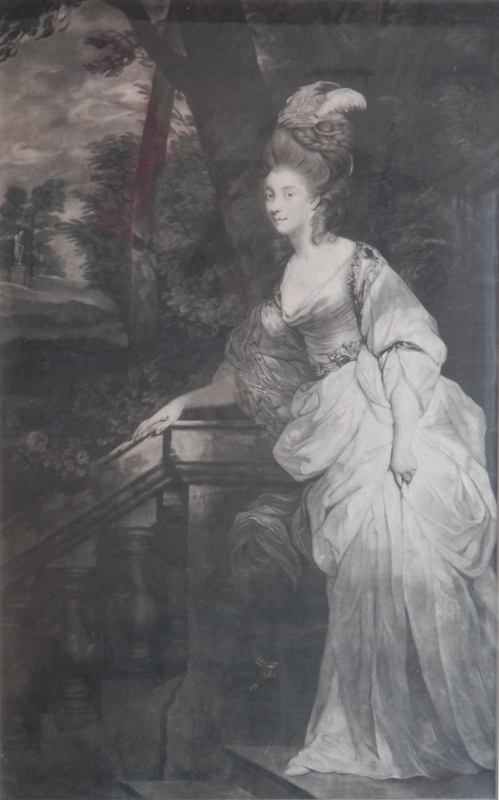 This entry was posted in Etching, Mezzotint and tagged bannister, chair, desk, Duchess of Devonshire, feathers, Georgina, globe, gown, ink well, jacket, Joseph Banks, patio, quill, tree, William Pitt. Bookmark the permalink.